The Savuti region covers an approximate area of 5000 square kilometres and is located in the South West of Chobe in Botswana. 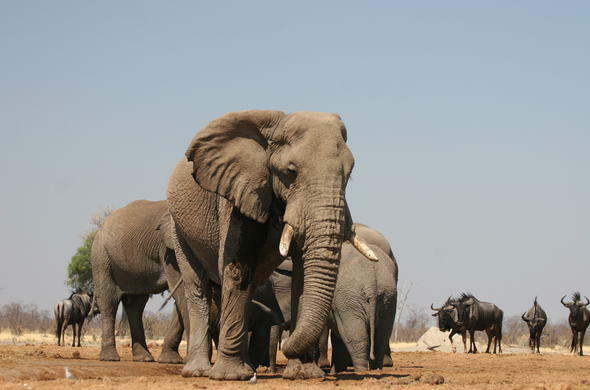 The area has become known for its pans and water holes which have become major attractions during the dry winter months aside from its incredible game viewing opportunities. Considered to be one of the last wild and unspoiled wilderness areas, during the summer months most of the game migrates to the fertile marshes of the region. These marshes consist mainly of rich grasslands, savannah woodland and large varieties of trees and vegetation. The Linyanti is the source of the Savuti Channel and has played the major role in the vagaries of Savuti. Tectonic activity in the region over the centuries has resulted in the Savuti changing its physical stature numerous times.The channel has a history of drying up, with the latest drying in 1981, but recent activity has opened the channel up and water is once again flowing towards the Savuti Marsh. This will alter the seasonal movements of wildlife of Linyanti quite drastically - and enhance the growing reputation of this wilderness paradise. The opening of the Savuti Channel may spread the previous concentration of wildlife during the dry season but the Linyanti is sure to remain an incredible wildlife destination.